No matter who you are, you should be monitoring your brand. 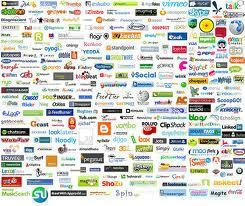 Your brand could be anything from your own name, your business or company name, your product, your blog, and so on. Brand monitoring isn’t just about reputation management issues – it’s simply about knowing who is talking about you, which can turn out to be a good thing more times than not. So what good things can you find out via social media monitoring? 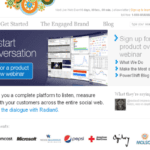 How about positive mentions of your brand on social networks, in blog posts, and even within blog comments? It’s not just about reacting to bad mentions online that are important to your brand, but thanking those that give you great mentions as well. Alternatively, not everything you overhear may be good, but you still need to know. Besides complaints or generalized bad-mouthing (which hopefully will not happen to you), there are some other less than pleasant things that come up. For bloggers, the biggest one that you will want to know about is stolen content. Monitoring for my own name has brought up several of my guest posts getting ripped off on other sites as well as posts from my main blog. Needless to say, the sooner you know, the sooner you can get started with trying to get it taken down. 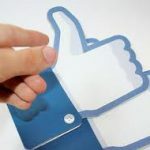 While some people shy away from social media monitoring due to the price tag, there are several free options to choose from. Trackur offers a free service where you can have one saved search monitored and emailed to you regularly. You can sort mentions by influence, change the green – yellow – red indicators for each item to represent whether they are positive – neutral – negative mentions, and save particular mentions as favorites. The quickest, easiest to setup free monitoring tool is Google Alerts. Google Alerts will email as often as you prefer (from as it happens, daily, and weekly) when your brand name pops up on the Internet in News, Blogs, Updates (social media), Videos, and Discussions (forums). 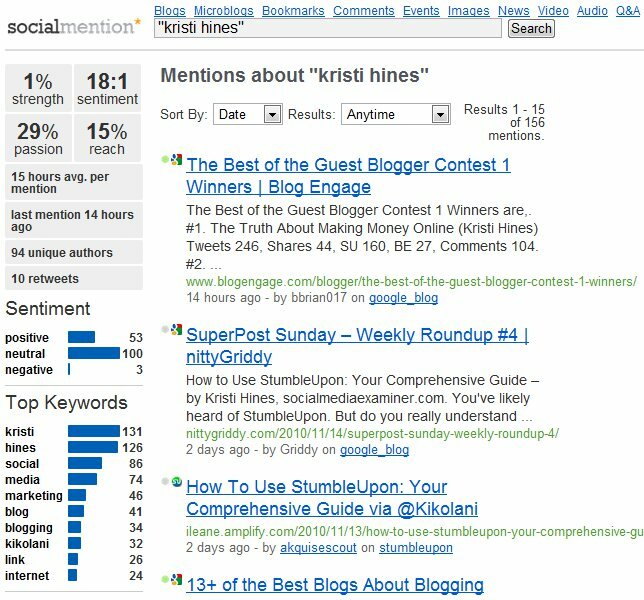 Social Mention allows you to search anything from blogs, microblogs, networks, bookmarks, comments, events, images, news, videos, audio, and questions for your brand. You can do a lot with the results, including have them emailed to you regularly, downloaded into a CSV, or filtered to specific dates ranges or sources. It’s probably the most robust of the free monitoring tools. 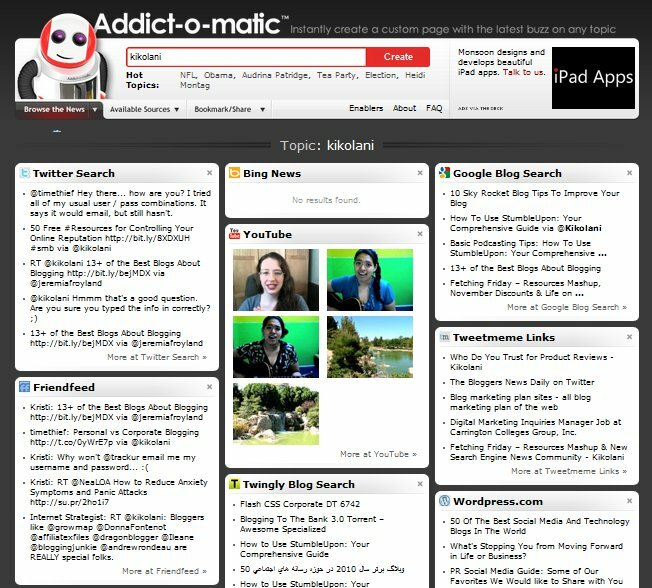 Addictomatic is a fun little site where you can search for your brand name and see results from a variety of social and search engines. You can arrange this page in the order you want the results to show in and bookmark it for quick reference and new mentions. Among the many reasons I love HootSuite is the fact that you can easily setup columns in your dashboard for specific brand monitoring keyword searches. Having your brand monitoring in HootSuite will allow for fast updates to any mentions so that you can reply quickly! Simply from running the above examples, I found a few sites ripping off content on my own blog and on sites I contribute to, several mentions within lists of my blog (that I will have to go thank now), and a video I was mentioned in. It goes to show that you may find something that you want to know about right now that you have been missing. What tools do you employ for social media monitoring of your personal or business brand, and what good (or bad) things have you been thankful you discovered as a result?